Enter our LYS Day raffle! And be among the first 20 customers to receive a great freebie from Berroco! 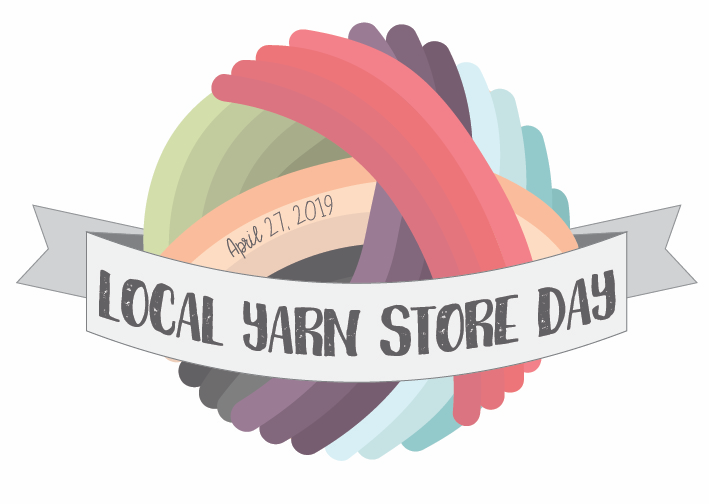 Join us for our YARNTINI NIGHT KICK-OFF for LYS Day, Friday, April 26, 6:00 PM - 7:30 PM with LeeAnn Halley, Owner, The Village Herb Shop! Looking for something with that Wow! factor this summer? Looking for some new skills? This open cardi features side-to-side construction and mini cables (super easy, don't worry!) and gets even softer and drapey-er after a spin through your washer and a tumble in your dryer! Over the years The Artful has created many beautiful pieces for shop models and class samples. Also, our vendors have shared garments with us to help you see what you can do with their awesome yarn. It’s time to give some of those pieces a forever home! Beginning May 8th come see what we have and purchase what you want! Our selection is pretty wide-ranging, so come see for yourself! Buy and bid! Prices begin at $10. It’s fun and you might get a jump on some gifts and something for yourself. We’ve also selected a handful of pieces for a Silent Auction with proceeds going to Knitting for Those in Need right here in Northeast Ohio.